Designed to provide cable management horizontally on the front and back of a rack. 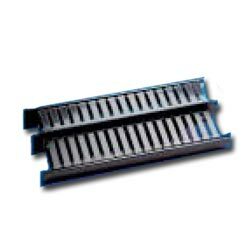 The dual sided bracket provides a channel for both the front and back on a relay rack. Equipped with extended length covers to keep excess cable hidden.